Three audiobooks from best-selling author Steven Becker. Washed up on a beach, with a path of destruction in his wake, Mac Travis must put his life back together. With his girlfriend in a coma and hanging by a thread, he becomes embroiled in a plan to blow up the US and Cuba’s fledgling relationship. Along with his wayward mate, the colorful Trufante, they fight to save Mel’s life and get back everything he’s lost. Experience the Florida Keys in this new adventure by best-selling author Steven Becker. Minding his own business is what Mac Travis does best until a strong storm coupled with a king tide brings dead fish to his doorstep. Mac investigates the cause, discovering a murder and wreck at a testing station in Florida Bay. The trail leads him deep into the backcountry of the Florida Keys, where he uncovers a plan that could lead to the destruction of the Everglades. Along with Mel and Trufante, he sets out to save the ecosystem but soon becomes embroiled in the politics and power of Big Sugar. The forces collide in this action-packed thriller bundle featuring plenty of boating, scuba diving and fishing and flavored with a generous dose of Conch Republic counterculture. 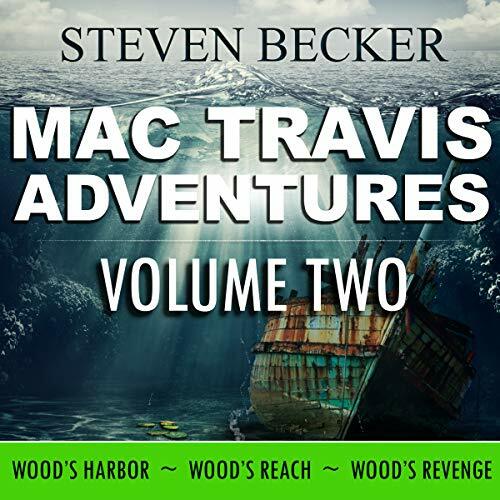 Steven Becker has written a great series based on the character of Mac Travis! I love it when multiple books are bundled together. Each one in this volume is a standalone listen, yet they have some key characters which adds to the depth of the story. Mac Travis is rough around the edges, yet endearing. Some of his friends appear shady, yet have heart. Paul J McSorley performs this book fantastic. He gives the characters distinguishable voices and adds the right emotions to his voice, which brings the characters to life. I requested this review copy audiobook and have voluntarily written this review. I will most definitely listen to more books by this author and narrator. The Mac Travis series has been great from beginning to end. You wonder how everything seems to find them. The storylines takes you through numerous Keys in Florida. It has been kept fairly clean. Paul McSorley has done a great job in narrating all the books. It isn't a full production series with sound effects but you don't seem to even notice. His use of pauses and inflection of voice has made the lack of sound effects negligible. All in all, a wonderful series.